Valid only for new households. Milk & more. Every Morning! MilkBasket delivers milk, bread, eggs, butter, juices and other daily need items every morning, right at your doorstep, free of charge. 1. With this deal, you can buy milk for up to Rs.500 in 7 days. 2. 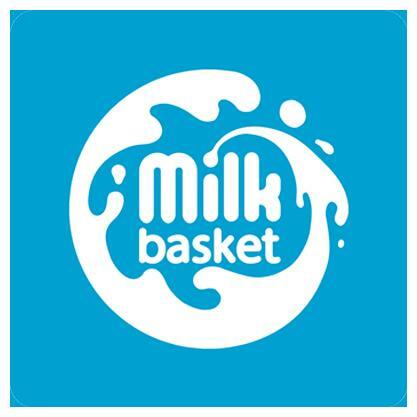 Valid at MilkBasket website & app. 4. After 7 days, MilkBasket will process the amount as cashback (Maximum Rs.500). 5. The voucher is only valid for new households. 6. Existing MilkBasket customers or their family members living in the same household will not be eligible for this offer. 7. The voucher is not valid on flavoured milk & variants/brands which comes in quantities less than 500ml. 8. Milk orders placed within the first 7 days of topping up will only be considered for cashback. Visit the MilkBasket app/website to signup. Enter the code in the Promo/Referral code section. Top-up your MilkBasket account to start ordering milk.